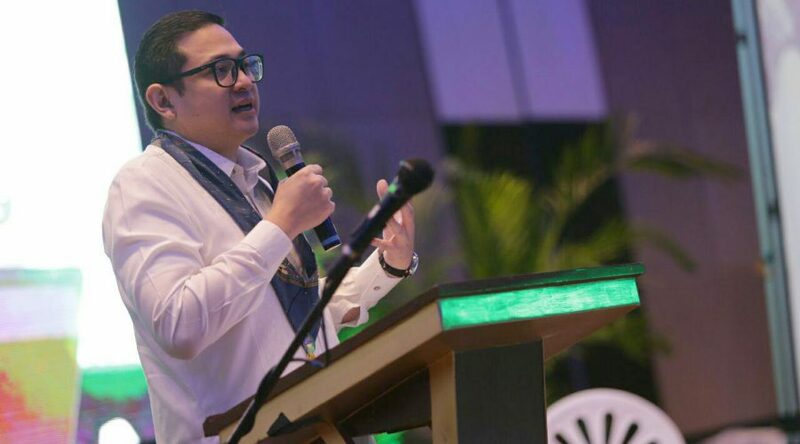 Sen. Bam Aquino expects that money management and business training will be taught in public schools starting next school year to equip students with the needed knowledge in managing their finances and encourage them to become entrepreneurs in the future. During this speech at the 6th UNESCO-APEID meeting on entrepreneurship education atMiriam College recently, Sen. Bam informed participants that the Youth Entrepreneurship Act has already been enacted into law as Republic Act 10679 in 2015. Sen. Bam said the Department of Education (DepEd) is currently finalizing the implementing rules and regulations (IRR) for RA 10679. “We hope that by next school year, financial literacy and entrepreneurship will be taught in our public schools,” said Sen. Bam, the principal sponsor and co-author of RA 10679 in the Senate as chairman of the Committee on Trade, Commerce and Entrepreneurship in the 16th Congress. 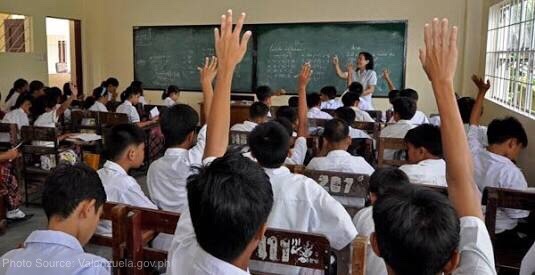 Sen. Bam underscored the need to inculcate financial literacy to the hearts and minds of young Filipinos, saying the country ranked 68th in the world in terms of financial literacy in 2015, way behind our neighbors Malaysia, Thailand, Hong Kong and Singapore. Furthermore, Sen. Bam said a 2015 survey by Standard & Poor’s revealed that only 25 percent of Filipino adults are knowledgeable on basic money management. Sen. Bam hopes that the country will learn from the experience of different participants of the conference to enhance financial literacy and entrepreneurship education in the country. Around 140 participants from the Asia-Pacific region, composed mainly of policy makers, educators, entrepreneurs and youth representatives, joined the 6th UNESCO-APEID meeting. A senator has filed a measure seeking to protect the employment rights of members of the reserve force of our Armed Forces of the Philippines (AFP) when they render military service for the country. “The measure aims to ensure that Reservists will be reinstated to their civilian careers by the end of their required military service, whether for training or deployment purposes,” said Sen. Bam Aquino in his Senate Bill No 1607 or the Reservist Employment Rights Act. “This bill also ensures that companies cannot require reservists to use their standard leave credits entitled them for absences, for the military service they are required to render,” added Sen. Bam. 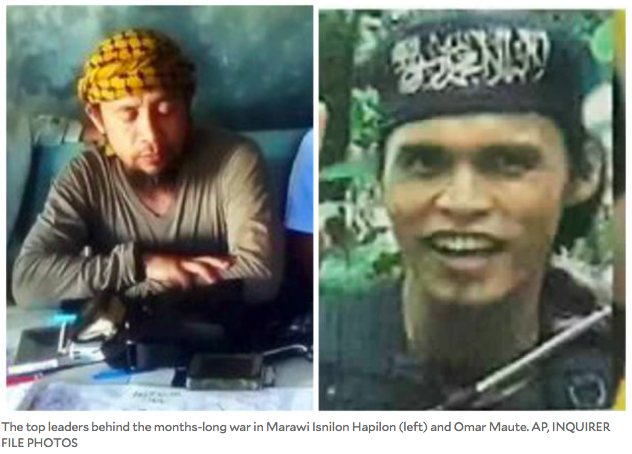 During the Marawi siege, around two battalions from the reserve command were mobilized alongside the regular soldiers of the AFP to fight the terrorists who held the city under siege for five months. Sen. Bam said some of the reservists temporarily left their jobs behind when they were mobilized to Marawi City. Unfortunately, some of them never regained their old positions or were reassigned to other offices due to their long absence from work. “This bill also ensures that companies cannot require reservists to use their standard leave credits entitled them for absences, for the military service they are required to render,” said Sen. Bam. The measure also gives adequate training for reservists, compensation for non-reinstatement and military service and penalties for discriminating current and prospective reservists. “We owe it to these courageous Filipinos to professionalize the Reserve Force. Let’s reward our Reservists the legal rights and protections they deserve,” Sen. Bam pointed out. Instead of focusing on the threats of artificial intelligence (AI), Sen. Bam Aquino said the business community can harness AI to create more jobs, increase competitiveness, and improve products and services. “While AI may very well be our competition in the marketplace of jobs, they might also be unintended rivals that push us to evolve, become more efficient, to learn and to relearn,” Sen. Bam stressed in his speech during the International Quality Conference, which was held at Okada Manila in Paranaque. ”And I hope this pushes us, not to shut our doors, but rather to kickstart our competitive spirit and develop our workforce for the future,” added Sen. Bam. Sen. Bam also commended the Asia Pacific Quality Organization, the Global Benchmarking Network (GBN) and other participants of the event for tackling how to harness the latest technology for the development of various industries. As chairman of the Committee on Science and Technology, Sen. Bam spearheaded an inquiry on the effects of AI in the country’s present workforce, especially in the business process outsourcing (BPO) industry. 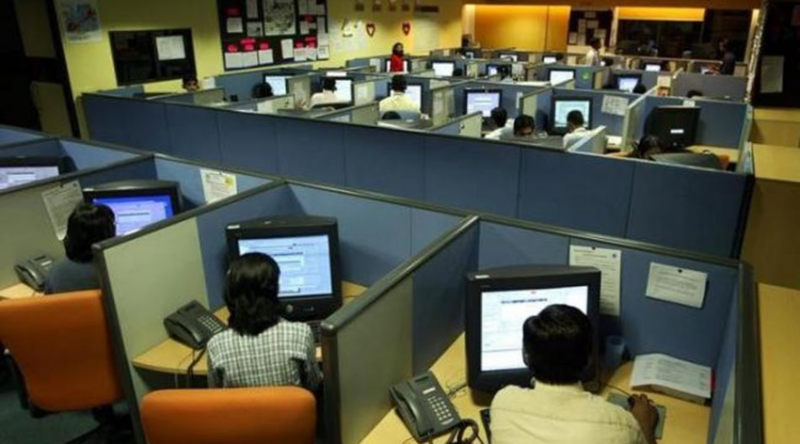 During the hearing, it was discovered that AI will affect around 40,000 jobs in the contact center industry next year. However, it was projected that around 250,000 to 300,000 fresh employment opportunities will be created for those with data analysts and data programming skills. Sen. Bam these jobs can be opened up to Filipinos who are willing to learn and relearn. “The key is to be prepared. We must prepare our workforce through adequate, accessible, affordable training, re-training and education,” said Sen. Bam, adding that the cooperation of between the private sector, academe and government agencies is critical to the evolution and development of the Filipino workforce. Now that Marawi City has been liberated from the grasp of the Maute Group, Sen. Bam Aquino urged all stakeholders to work together to heal, rebuild and create prosperity in the city. “Now, we must illuminate the hopeful Filipino spirit. 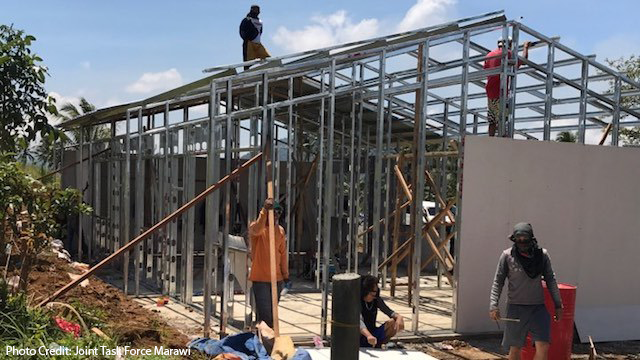 It’s time to work together to heal, rebuild and create prosperity in Marawi City,” said Sen. Bam, a member of the Special Committee on Marawi City Rehabilitation. Sen. Bam’s pronouncement came after Defense Secretary Delfin Lorenzana declared an end to the five-month fighting in Marawi City. Earlier, President Duterte declared the liberation of Marawi City from the terrorist group following the death of terrorists Isnilon Hapilon and Omar Maute, who were behind the siege that devastated the city. “This marks the end of a dark period in Philippine history, when terrorists sowed fear, violence and devastation in the City of Marawi. Our Armed Forces deserve our utmost praise and gratitude for this victory and for sacrificing their lives to bring peace to our country,” said Sen. Bam. At the same time, Sen. Bam commended members of other local government units, government agencies, civil society organizations, and the private sector who took in evacuees and provided support to families who lost their homes and livelihood. With the liberation of Marawi City, Sen. Bam said it’s high-time to focus on rebuilding and developing Marawi City. “We fully support efforts to rehabilitate Marawi City and to bring normalcy and prosperity into the lives of Maranao families,” said Sen. Bam. A senator called on members of government to work together for political stability in the country, despite differences in opinion and political color, as political uncertainty will not benefit the country. “While we disagree with some policies of the administration, ayaw naming magkagulo ang Pilipinas. Destabilization and political uncertainty are not good for anyone,” Sen. Bam Aquino pointed out. Sen. Bam urged President Duterte not to equate dissent to destabilization, saying that speaking from the heart about political issues and even expressing outrage does not signify an intent to destabilize. At the same time, Sen. Bam called upon the government to respect the various voices and opinions on contentious policies like the war on drugs. “Hayaan nating maglabas ng saloobin ang taumbayan sa mga nakikita nilang tama o mali sa pamahalaan. Ito’y bahagi ng demokrasya na ating tinatamasa ngayon at hindi dapat ituring ng pamahalaan bilang destabilisasyon,” said Sen. Bam. Sen. Bam also warned that the establishment of a revolutionary government may only lead to increased political instability, a fragile democracy, and a weaker economy. “Destabilization and threats of a revolutionary government will only weaken our democracy, our economy, and our fight against poverty,” Sen. Bam stressed. “We hope the President Duterte can promote political stability by avoiding threats of establishing a revolutionary government, especially when the Armed Forces already stated that there are no destabilization plots,” added the lawmaker. Sen. Bam also urged members of government to rise above the politics and work together on reforms that can help to uplift the lives of Filipinos, such as education, health care and economic growth. Binabati natin ang matatapang na miyembro ng Armed Forces sa kanilang pagtuldok sa paghahasik ng lagim at terorismo nina Isnilon Hapilon at Omar Maute. The country is now a safer place for all Filipinos. With this victory, we hope that the firefighting will soon end so the government can immediately lift Martial Law and finally focus on rebuilding and developing Marawi City. As member of the Special Committee on Marawi City Rehabilitation, we fully support efforts to rehabilitate Marawi City and to bring normalcy and prosperity into the lives of Maranao families. As we celebrate World Food Day today (Monday), Senator Bam Aquino pointed out that the food bank bill is yet another casualty of fake news. “Dahil sa paggamit ng fake news laban sa akin, pati ang mabuting reporma, siniraan na. Sayang ang Zero Food Waste bill na magpapatayo sana ng mga food banks sa bansa,” said Sen. Bam Aquino, referring to his Senate Bill No. 357. If passed into law, the measure would create a National Anti-Food Waste Scheme, with the Department of Social Welfare and Development (DSWD) as coordinating agency between food businesses, such as food manufacturers, supermarkets, restaurants, cafeterias, and hotels, and food banks. The measure mandates restaurants and supermarkets to give unserved food, such as canned goods and uncooked rice, to food-distribution charities or “food banks” to provide food to the poorest Filipino families. Sen. Bam said the scheme will set guidelines and standards for the collection, storage, and distribution of edible food donated to food banks. Cooked food or food waste would not be served but, instead, will be recycled into fertilizer or compost. 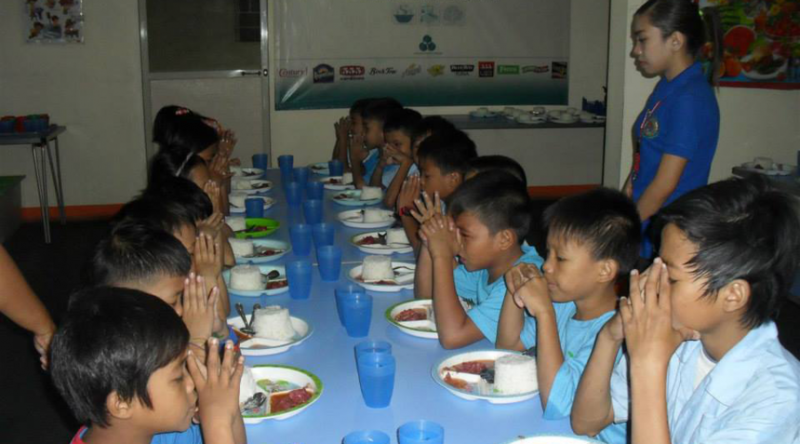 Unfortunately, several dubious​ websites ​and blogs falsely branded the bill, making it appear that it was meant to serve leftover food to the poor. Those websites even carried a fake quote from the senator. “I can overlook the name-calling, pero sayang naman ang panukalang ito na makakatulong sa mga Pilipinong nagugutom. Nakain na ng fake news ang food bank bill,” Sen. Bam lamented. The senator still hopes this reform can be resurrected and heard in the Senate to help address hunger in the country as well as reduce the wastage of food. 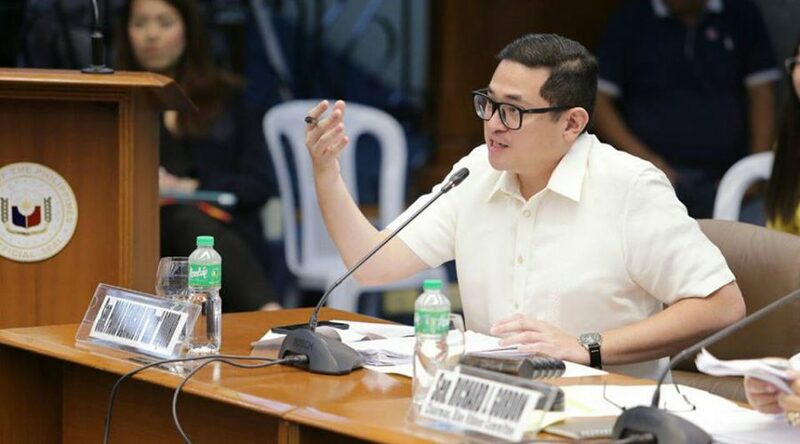 ​​Senator Bam Aquino expressed support behind the move to strip the Philippine National Police (PNP) of the P900-million Oplan Tokhang budget and realign it to Philippine Drug Enforcement Agency (PDEA) as the lead agency in the war against illegal drugs. 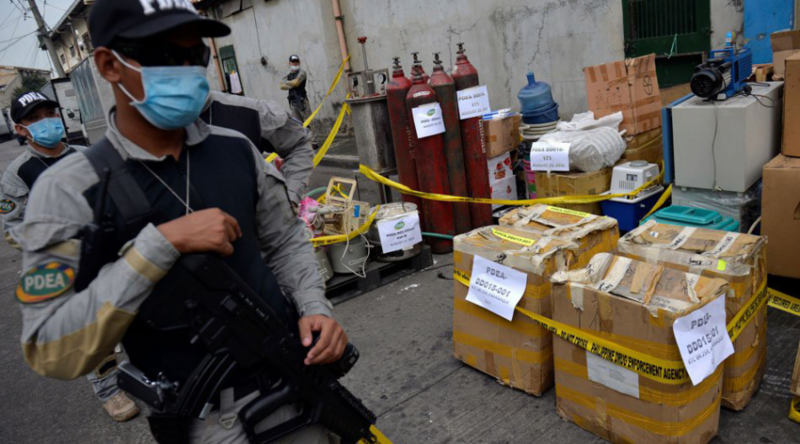 ​​“The budget allotted for the PNP’s Oplan Tokhang must be stripped and realigned to the new lead agency of the fight against illegal drugs,” said Sen. Bam, vice chairman of the Committee on Finance. “Sinusuportahan natin ang plano ng Senado na ilagay ang nasabing pondo sa PDEA​. Kailangan rin suriin muli ang kabuuang budget ng PNP na tumaas ng P20 bilyon, mula P111 bilyon noong 2017 patungong P131 bilyon para sa 2018,” added Sen. Bam. ​​If realigned, Sen. Bam wants the PDEA to utilize the additional budget for training of its personnel and rehabilitation of drug users and not as ​a quota or ​bounty bonus. ​​“A lot of pressure is on PDEA to do this right and without the backlash of the killings and collateral damage,” said Sen. Bam. ​ ​Recently, Sen. Bam worked for the passage of the 2018 budget of several government agencies, including the Department of Education and Department of Science and Technology, as sponsor. Senator Bam Aquino congratulated Vice President Leni Robredo for the rise in her satisfaction rating, saying her consistent hard work to uplift underprivileged communities is paying off. Based on the survey conducted by the Social Weather Stations (SWS) from September 23 to 27 on 1,500 respondents, Vice President Robredo’s net satisfaction rating for the third quarter of 2017 rose from +36 to “good” +41. “Hinding-hindi mawawala ang malasakit ni VP Leni sa mga Pilipinong nasa laylayan at mukhang dama pa rin ito ng taumbayan,” said Sen. Bam, the campaign manager of VP Leni during the 2016 elections. “The rise in VP Leni’s satisfaction rating is the fruit of her hard work to uplift underprivileged communities. Nakikita ng taumbayan na tuluy-tuloy pa rin ang trabaho ng ating bise presidente sa kabila ng napakaraming hamon,” added Sen. Bam. The senator noted that the Senate even boosted Robredo’s efforts to help poor communities by adding P20 million to the budget of the Office of the Vice President (OVP) for her Angat Buhay program, through the initiative of Majority Floor Leader Tito Sotto. Sen. Bam expects VP Leni to use the survey as inspiration as she further strengthens her plans, programs and advocacies for the poor. ”Tuloy lang ang trabaho para sa bayan. Tuloy ang laban,” added Sen. Bam.